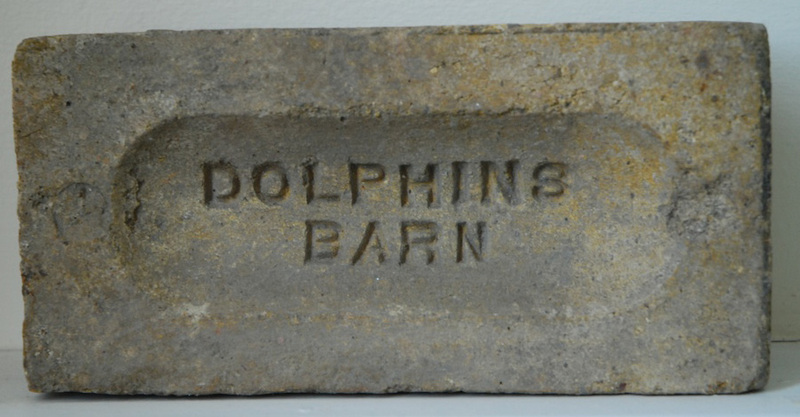 The Dolphin’s Barn Brick and Tile Company was established in 1900, and bricks with the Dolphin’s Barn stamp were used widely throughout the city between 1900 and 1942. The distinctive yellowish colour of the bricks means there is a tendency to describe all bricks of a similar colour as ‘Dolphin’s Barn’ bricks, even ones that were produced long before the factory opened. The company was a major employer, and its bricks were used in many notable buildings around Dublin, including the GMB in Trinity College, Stevens’ Hospital and the National Gallery of Ireland. The company merged with the Mount Argus works and the Rathnew Brick Company in 1921. It ceased operation in 1942.